Tony Atzeni likes to put together rankings. It is a good starting point and provides good water cooler chatter. Enjoy and look for these each week during the 2015 Iowa High School Football season. It’s no secret throughout Des Moines that football teams in the Central Iowa Metro League set their pre-season goals at a very high level. This fact is no different for East High’s Greg Schoon who has set one tall task for his troops this upcoming season: Lead the state in turnover margin. Coming off a 4-4 campaign a year ago that saw wide margins of both victory and defeat along with a controversial no-contest game with Ames that was erased from the record books, the Scarlets have a reason to believe their high goals can be achieved. 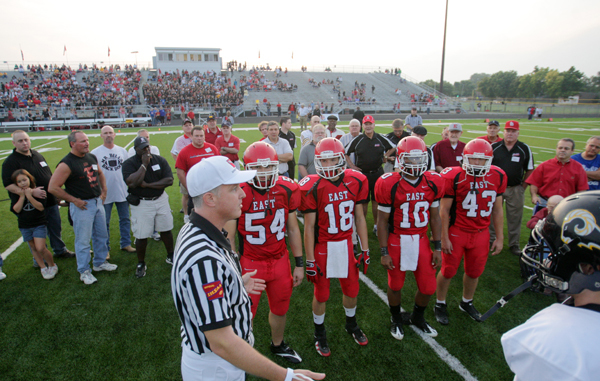 Des Moines East returns a plethora of talent on the offensive side of the football, including quarterback Jaron Turner who compiled five rushing and five passing touchdowns last season. Turner completed nearly 50 percent of his 151 passes in 2014, averaging 10.9 yards per completion for a total of 817 yards through the air. The Scarlets will utilize that experience in combination with nearly their entire starting line from a year ago to generate scoring in 2015. Graduating four of its five leading tacklers, the team will need several players to rise up early to warrant defensive success. Linebacker Rory Walling led East as a sophomore in 2014 with 58.5 total tackles and 37 solo takedowns. Walling, along with three senior defensive backs, looks to lead the Scarlets in a league dominated by grueling offensive attacks. With the depth of starters returning for Des Moines East, the biggest question that looms for Coach Schoon’s team is can they stay healthy enough to compete at a weekly level? The Scarlets anxiously await answering that questions in the coming Friday nights. You don’t have to travel far from the state’s capitol to find a football team that is annually committed to improving in every facet of the game. In his 11th season with Indianola, Eric Kluver looks to build on that sustained success following a 5-4 regular season and first-round playoff loss to eventual 4A state champion Dowling Catholic in 2014. The Indians will need several fresh faces to step into roles on both sides of the football this year after many constant contributors on both offense and defense received their diplomas from last season’s squad. Brothers Trey and Cameron Bunting who totaled 23 of the team’s 31 touchdowns from a year ago are just two players whose shoes will need to be filled. Senior QB Jack Jenson looks to lead this season’s offense after throwing for 536 yards in 2014. Jenson split roles with Trey Bunting behind center last season and completed over 63 percent of his passes for five touchdowns. Wide receiver Blake Upchurch also returns and will likely be a favored target through the air after he led the Indians with 28 receptions for three scores last year. 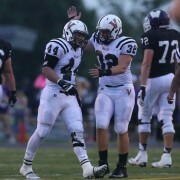 An upperclassmen-heavy defense looks to balance Indianola in 2015 led by DB Schaefer Orwig and LB Jimmy Aiello who combined for 90 total tackles last season. Junior Chris Brandt also brings experience in the kicking game after he hit five of nine attempts last season with a long of 36 yards. This season’s schedule is another constant that Indianola welcomes back along with these returners. 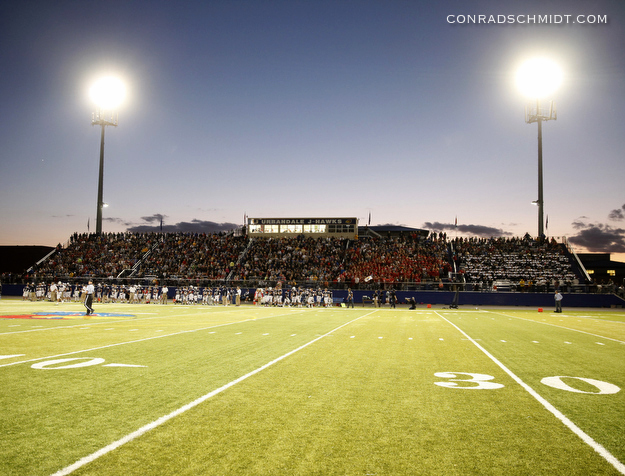 It’ll be an identical nine-game slate in 2015, beginning with a rematch against Ankeny at home on August 28. Coach Kluver’s staff welcomes the challenge of grooming a new set of stars for this year’s Indianola squad, and it will be these incoming athletes that will set the tone in 2015. 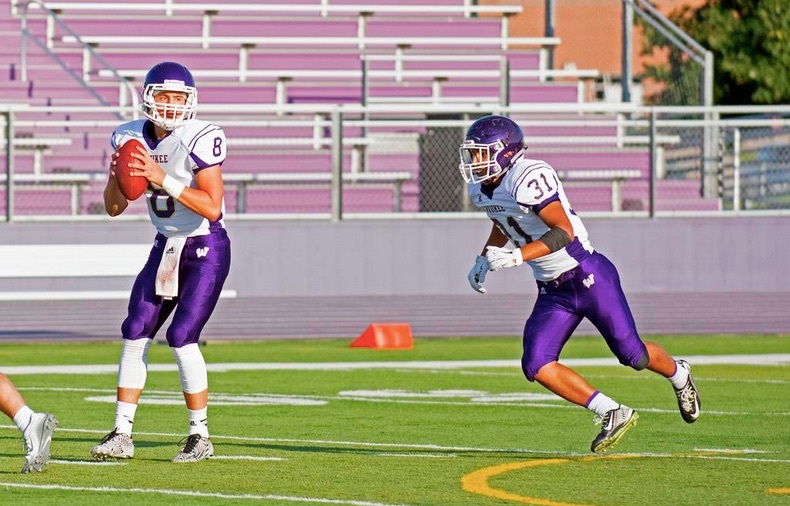 Waukee QB Ben Ferkin enters his third year at the head of the Warrior offense. 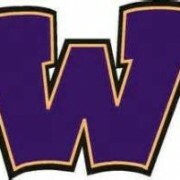 Picture from @WaukeeFB. After losing a senior class with multiple D-I recruits, including running back Trevor Allen (UNI) and defensive end Anthony Nelson (Iowa), coach Scott Carlson must replace a deep and talented class that won a Class 4A, District 4 title a year ago. Leading the charge on offense will be senior quarterback Ben Ferkin, who threw for 1,809 yards and 27 TD’s while leading the district in pass completions (138), completion percentage (57.5) and quarterback rating (151.3) among quarterbacks with a minimum of 80 attempts. After a strong junior campaign, including 25 receptions for 475 yards and a team-leading nine touchdown catches, Adam Rose will be the Warriors go-to receiver after losing Koy Schneiter, the team’s leading receiver last season. The offensive line will be anchored by senior duo Brandon Krantz and Jarrod Martin but questions emerge after the star tandem. Both the offensive and defensive fronts are areas of concern as the team looks to rebuild. On defense, the Warriors must replace the teams’ top four tacklers from 2014: including Kyle Boulanger (74.5), Nick Tweeten (44.5), Jacob Fay (43.5) and Anthony Nelson (42). The secondary will anchor this year’s unit, led by Cedric Dobbins and Brett Hauck, who combined for 81.5 total tackles, three interceptions and two fumble recoveries as juniors. Drew Lienemann will anchor the defensive front, finishing last year with 20.5 tackles and three sacks. Last year, the Warriors outscored their District 4 opponents a combined 241-29 in the regular season and look to be the early favorites again this year despite losing a talented 2014 class. Finding depth and quickly grooming underclassmen may decide if the Warriors can make another deep playoff run in 2015. The Central Iowa Sports Network will live stream the Warriors opener at Valley. Team Goals: District Championship, another deep run into the playoffs. 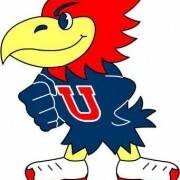 The Urbandale J-Hawks will look to improve on a 5-5 record (4-1 conference) from a year ago, which included a second place finish in the Class 4A-district standings and state playoff berth, losing to Ames 28-31 in the first round. Urbandale must replace two of their top three leading rushers from a year ago, including second-team All-District quarterback Dylan Landess and first-team All-District running back Abdul Mansaray. Landess threw for 593 yards and rushed for 545 more while scoring a team-leading 13 touchdowns. Mansaray ran for 11 touchdowns while leading the team with 910 rushing yards. Senior Alex Newburg will be the teams’ primary offensive weapon this season after running for 779 yards and eight scores a year ago. The J-Hawks offensive line will anchor Coach Sam Anderson’s run-heavy, triple-option offense. Urbandale has two future Division I guards in seniors Jake Heinrich and Caleb Bright. Heinrich committed to Arkansas in early July while Bright announced last week he will play at Bowling Green. On defense, the J-Hawks return senior linebackers Cody Pearson (2nd-team All-District) and Trevor Kimm (1st-team All-District) who combined to make 74 tackles last year. Nate and Kyle Stoltz will hold down a secondary unit that forced only three interceptions all of last year. The biggest question mark may be the defensive line. Urbandale will be without 1st-team All-District lineman Zach Crouse, who recorded more sacks (8), than the rest of the team combined (7). Darien Smith will look to anchor the line this year after recording 23 tackles and a sack as a junior. After finishing second a year ago in District 4, Urbandale must find replacements at several key offensive positions, including QB, RB1 and WR. Waukee is again favored to win the district, but after that it’s an open race amongst Urbandale, Indianola, Fort Dodge, Mason City and Marshalltown. Assistant Coaches: Tim TeBrink, Tyler Perry, Dave Hekter, Ryan Williams, Dan Schuck, Tyler Motter, Rod Reis. Here’s a link to their release from the school’s website on the upcoming team. In a perfect world, people would ask for an encore performance and they receive one. But what type of encore will Dowling Catholic give this year? After all, they are the two-time defending Class 4A champions. The next question is how will they win their third straight title without the likes of Ryan Boyle, Nick Wilson, and Max Morris? If you asked the Maroons’ football Tom Wilson, it won’t be easy to replace that amount of talent, but they will fill in with capable players. With 40+ letterwinners, including the only returning starter Michael Zachary who will not be eligible to play until October. Cole Deskin, Michael Palme and Brawntae Wells saw significant game time during the season, the Maroons still have a target on their back as they prepare for the road to the UNI-Dome. Junior Cole Deskin will take over full-time in the backfield after an 80 carry, 511 yards, 8 touchdowns performance last season and will be expected to be the workhorse on offense. Deskin also turned heads this spring for his work on the track. Kurt Walding and J.T. Brown will compete to replace Ryan Boyle at quarterback. Both Walding and Brown combined for 6-10 passing for 47 total yards last season. That pales in comparison to Ryan Boyle, who racked up 137-221, 18 touchdowns for 1934 yards in his final season as the Maroons’ signal-caller. Cole Scieszinski will fill see more time at receiver. Alec Hemann replaces “Mr. Perfect” Nick McClellan at placekicker. Ross Otte and Michael Zachary will lead the Maroons’ defense, which will need to replace standouts Max Morris, Nick Wilson, Jo Jo Jok, and Dante Campero. Facts & Info: Former Johnston star Luke Bengston joins the Dowling staff. Bengston returns to the Des Moines area after being on the University of Arkansas staff. 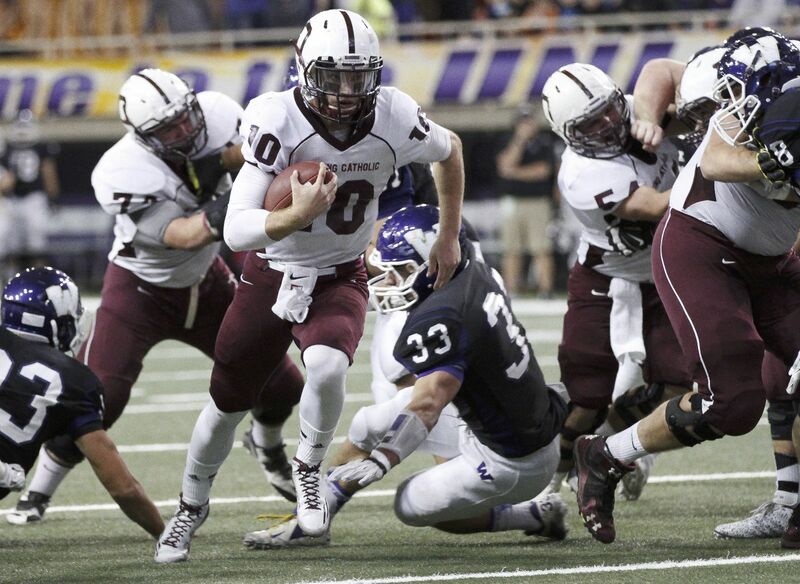 The Maroons will strive to be the first Class 4A school to win three straight football titles. Six schools, including Dowling (Bettendorf, Linn-Mar, Iowa City High, Iowa City West, WDM Valley) has won back-to-back titles. Dowllng and Bettendorf has won back-to-back twice since the playoff era began in 1972. A year after finishing 6-4 and third in the Class 4A- District 1 standings, the Ames Little Cyclones will look to reach the playoffs for a second straight year after falling to Dowling Catholic 24-59 in the second round of the 2014 playoffs. Led by quarterback Michael Frankl, the Little Cyclones will rely heavily on the senior to once again lead the offense. Frankl threw for 2,351 yards and 21 TD’s while throwing only four INT’s as a junior. After hauling in 85 passes and 1,006 receiving yards from Frankl in his junior campaign, 2nd team All-State honoree Colby Shane is the lone returning starter at wide receiver. The Little Cyclones will also be without leading rusher Chris Woodward, who ran for 909 yards and 10 touchdowns as a senior last year. Stepping into the starting role will presumably be senior Darrius Martin. Last season’s backup for Ames was one of the best sprinters in the state last spring. Other than Colin Newell, a 1st team All-Division left tackle as a sophomore who has already received an offer from Iowa State, the offensive line looks to be one of the biggest question marks of the upcoming season. Four starting lineman from a year ago must be replaced, including Drake recruit Anthony Mooney. 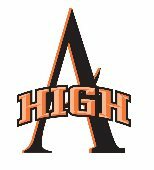 On the defensive side of the ball, Ames will return a strong secondary and defensive line, led by multi-sport athlete and three-year letter winner Michael Agbaje at safety and duo Kaleb Stevens and Harrison Townsend along the defensive line. Agbaje recorded 46.5 total tackles, two interceptions and a fumble recovery for touchdown as a junior. 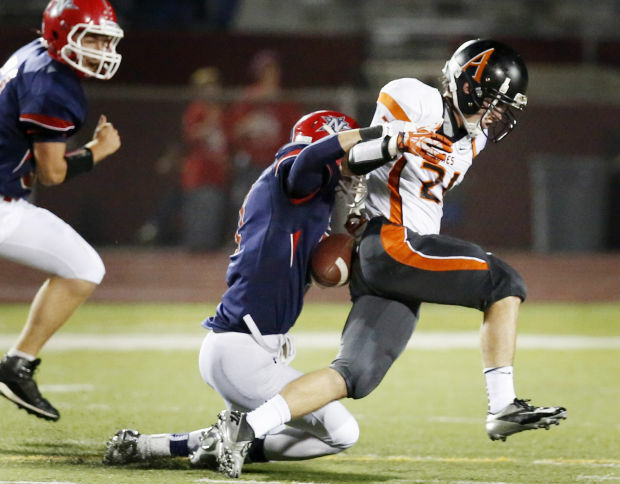 At linebacker, Ames must replace Hank Swalla and Chris Halbur, both insdie linebackers, from a year ago. Senior Andy Christensen is the lone returner, recording 28.5 tackles as a junior. The biggest loss from a year ago may have been to the special teams unit. The team must replace kicker Sam Rathe, who ranks third on Ames All-Time scoring list. The Little Cyclones have some key returning pieces to make a run at another state playoff appearance, but lack of depth at several key positions: WR, OL, and LB will make the hunt for a 4A-District 1 title challenging. As usual, perennial powerhouses Ankeny and Southeast Polk look to be the favorites in a top-heavy district. Assistant Coaches: Vance Downs, Tracey Rial, Mike Shane, Kyle VanWinkle, Kerry VanWinkle, Graham Lundt, Taylor Vanden Wynboom, and Joel Sullivan. Tonight, we’re going to take a slightly different pass route for the quarterfinal round of the playoffs. CISN will have the night off…but that doesn’t mean you will miss any football here on the site. Our partners at High School Cube will be carrying the Valley vs Waukee quarterfinal game, and we’re happy to let you know that carry the audio broadcast of the Ankeny vs Dowling Catholic game as well, courtesy of Iowa Catholic Radio. You can go to our “Home” page and to access the audio links for both contests tonight. The Des Moines Register’s Chris Cuellar and Andy Hamilton has the breakdown on what to expect from both games, as well as the other quarterfinal games between Iowa City West vs. Cedar Rapids Washington and North Scott vs. Bettendorf. Both games will kickoff at 7pm, and you can hear both games here on Central Iowa Sports Network. Copyright Central Iowa Sports Network.